On the day before Thanksgiving, the Houston Rockets held off hot shooting from the Detroit Pistons to extend their win streak to five. On a night in which the Pistons heated up along with the emotions in the game, James Harden led the Rockets on both ends to win a critical game on the march back up the standings. In a game in which Blake Griffin went 5-5 on three pointers in the fourth quarter, in which the Pistons hit 47% of their three pointers, and in which PJ Tucker was ejected in the third quarter, the Rockets still came out on top. It wasn't the prettiest win of the season for Houston, but it wasn't as close as the score indicated and it was a heroic game from NBA MVP James Harden. Harden scored 43 points on 10-20 shooting, which is a truly ridiculous stat that only exists due to him hitting all 19 of his free throws. With 7 rebounds and 9 assists, Harden capped off the night with a game-sealing fourth steal in the waning moments of the game. He was the hero of the game, and he looks to be back in MVP form. Clint Capela had en excellent outing as well, despite his 5 fouls keeping him out of the game in the fourth quarter. He racked up 4 blocks with ease as well as a season-high 27 points to go with his 15 rebounds. It was a a good night for points in the paint on both teams, and Capela was happy to feast. The game was close throughout the first half, but the Rockets pulled away in the third quarter. Unfortunately for them, this did, in fact, look back later on. Despite being up by double digits with only a few minutes left, Blake Griffin channeled Steph Curry and drained five three pointers in a row, pulling the Clippers within four. As the game waned, the Rockets felt the absence of PJ Tucker, who had previously been assigned two technical fouls in the span of a few seconds due to shouting at the referee. Harden was the defensive hero of the night, however, not only stealing the ball in a critical late possession, but defending Blake Griffin in the post to perfection. 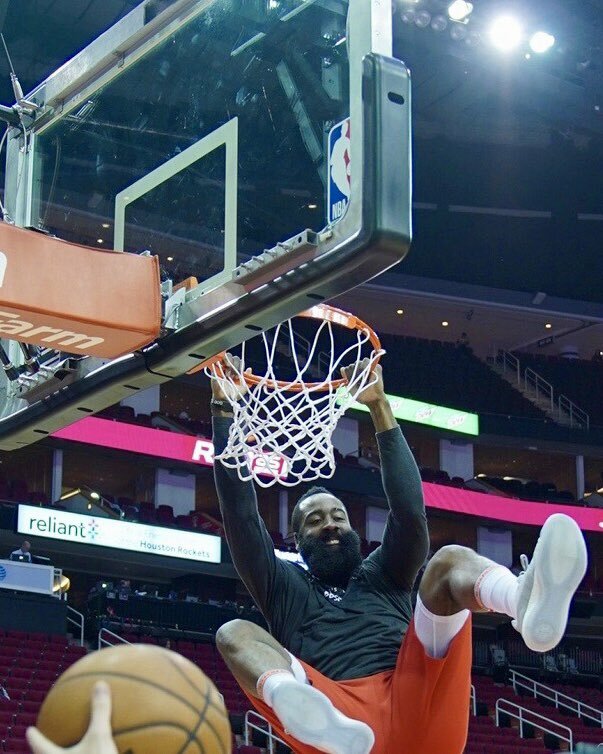 It wasn't a good win, but it was a win on a night when other good teams ceded ground, helping clear the decks for the Rockets to make a push up the standings. Now the Rockets just have to have Thanksgiving dinner and prepare for their next opponent - also the Pistons.